Family law can be very, very confusing, especially at a time when you need immediate answers. Relying on an experienced attorney in such times of distress will take some of the confusion out of the equation. We are a California family law team that focuses on all aspects of divorce and family legal proceedings. Whether you’re struggling with the end of your marriage or you and your spouse need professional mediation, you’ve come to the right place. Our primary purpose is to provide clients with reliable, cost-efficient and tailored legal services. The team is detail-oriented, and we approach every single case on an individual basis. This way, we can ensure the best possible legal representations for all of our clients. If you do a simple online search, you’ll find out that the number of professionals offering family law services in California is huge. Why should you choose us? What makes us different from all other legal firms? For a start, we have the practical experience. We’ve worked on dozens of family law cases, representing clients from all walks of life. This experience gives us the confidence to help clients, no matter how challenging their situation is. Additionally, we believe in the power and the importance of the personalized approach. We listen, and we work hard to understand the specifics of the situation. Based on this information, we give our clients suggestions that will ensure a favorable outcome. It’s nothing but natural to feel nervous about choosing the right attorney. A lot will be riding on the decision. This is why you should go for experience and competence. 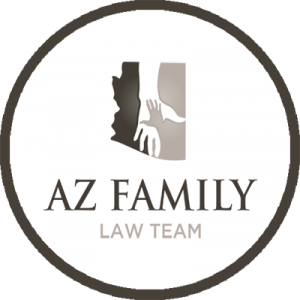 Our familiarity with California family law and the individual strengths of the team members make us the best experts for tackling a legal quagmire. Facing a situation that involves family law proceedings is never simple and easy. This is why we work hard to make our clients feel comfortable. The first step in the process is answering any questions they may have about the upcoming process. You can learn more about who we are and what we believe in by examining the website and the biographies of the team members. This information will help you rest assured that every one of us has the academic background and the practical experience to give you hope. Don’t hesitate to get in touch with us if you’re facing any of the above. Every single process is guided by strict California Family Code regulations. These establish your rights, and they also shed some light on the journey that you’ll have to embark on with your legal representative. We know how to interpret the regulations and base your representation on the specific California provisions. Do You have More Questions? Get in Touch with us Today! Not everyone is lucky enough to part with a former spouse on amicable terms and experience a simple, straightforward legal process. If you’re one of the unlucky individuals, chances are that you feel hurt and that you have many questions. We’ll be more than happy to give you the answers and guide you through all of the steps you’ll have to make in finalizing a marriage and taking good care of your children. Don’t hesitate to contact us today and schedule an appointment or ask a question about the team. We’ll be delighted to get to know you and help you within the scope of our professional competences.